As soon as raw or cooked meat, products begin to thaw and become warmer than 40 °F, bacteria that may have been present before freezing can begin to multiply. After thawing in the refrigerator, items such as ground meat and stew meat should remain safe and good quality for an additional day or two before cooking. 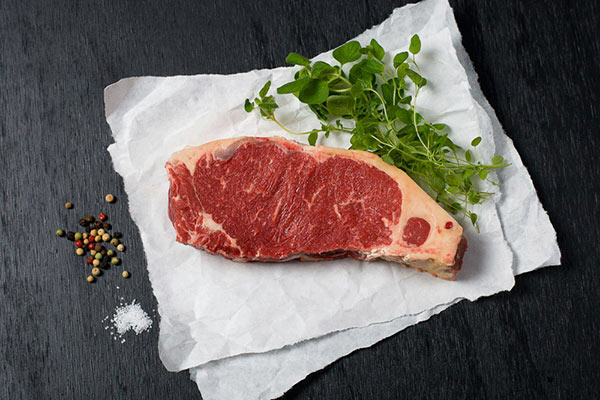 Red meat cuts should remain safe and good quality 3 to 5 days. Small packages of meat — about a pound — may thaw in 1 hour or less. Holding partially cooked food is not recommended because any bacteria present wouldn’t have been destroyed and, indeed, the food may have reached optimal temperatures for bacteria to grow. Remember: Even though the center of the package may still be frozen as it thaws on the counter, the outer layer of the food could be in the “Danger Zone,” between 40 and 140 °F — temperatures where bacteria multiply rapidly.